Megabacteria are microscopic organisms which are forty times larger than most organisms. They have at various times been called bacteria, fungi and lactobacilli, but are now known to be yeast. Is it a bacterium? Is it a fungus? No one knew for sure until Dr. Phalen's team identified it as a fungus. 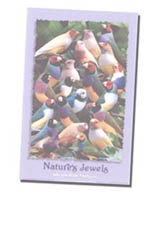 AGY is most commonly found in birds such as Budgerigars, Gouldians and Zebras. It can also be found in Pigeons, Poultry and any species of bird exposed to it. Megabacteria typically cause a weight loss syndrome with bulky soft, dark faeces. Food is poorly digested as the organism infects the bird's gastrointestinal tract, and as a result, the bird's appetite is usually increased. The course of the disease is usually more than one month, although sudden death after acute vomiting episodes does occur. The transmission of Megabacteria is not yet certain, but the main theory is that infected faeces are ingested by other birds and so passed on. 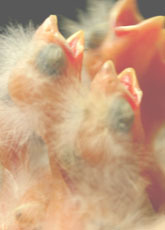 Whether egg transmission or beak spread occurs is being studied. The limits of the incubation period of Megabacteria in birds is not known fully. It is likely that birds can be carriers with no symptoms for long periods, and that megabacteria require a certain set of circumstances to cause disease e.g. nutritional deficiency/stress, or presence of another bacterial infection. There are certainly many instances where magabacteria are seen in faeces of healthy birds, just as there are cases where wasted, thin birds have no mega bacteria in their droppings but large numbers of them in their stomach when examined at post mortem. The treatment and control of megabacteria is currently the area of most research. There are two methods for treating Megabacteria. Amphotericin B, an anti-yeast/anti bacteria medication. 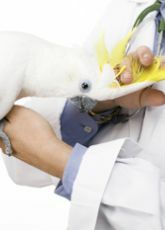 Amphotericin B is the drug most veterinarians use while AGY is actively making your bird ill. Amphotericin B is available as Megabac-S.
Citric Acid, more natural treatment. Citric Acid treatment is only effective as a preventative treatment. Citric Acid, Megamix prevents the acid fearing germs, notably E.coli, Mold and Fungal, from multiplying. Megamix will prevent the growth of the AGY organism but it will not kill it. Birds given Megamix on a regular basis helps maintain the overall health of your flock. It is safe, natural and non-toxic. However, testing and treating positive or suspect birds with some anti-fungal treatments is the most successful approach, along with good husbandry including clean facilities, proper nutrition and quarantine of new birds. 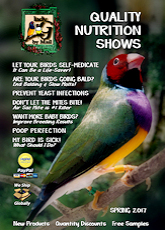 All are necessary in order to have healthy, productive birds.